Hey there, Lana! You know the R in RSG doesnâ€™t stand for Ralph. 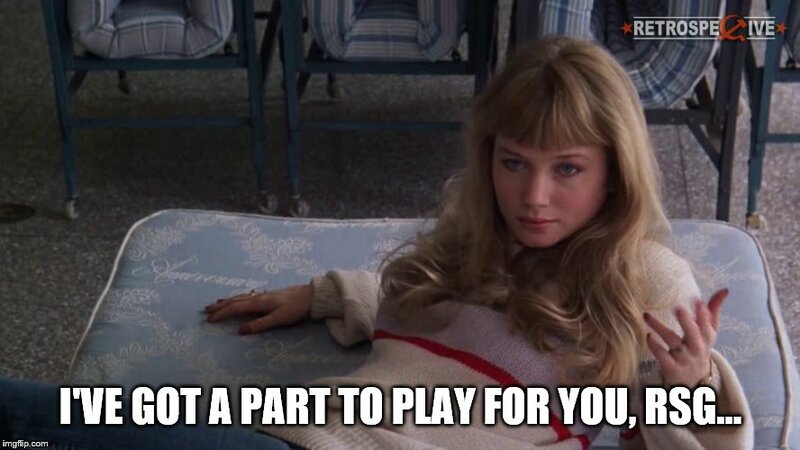 My nameâ€™s not Joel either. 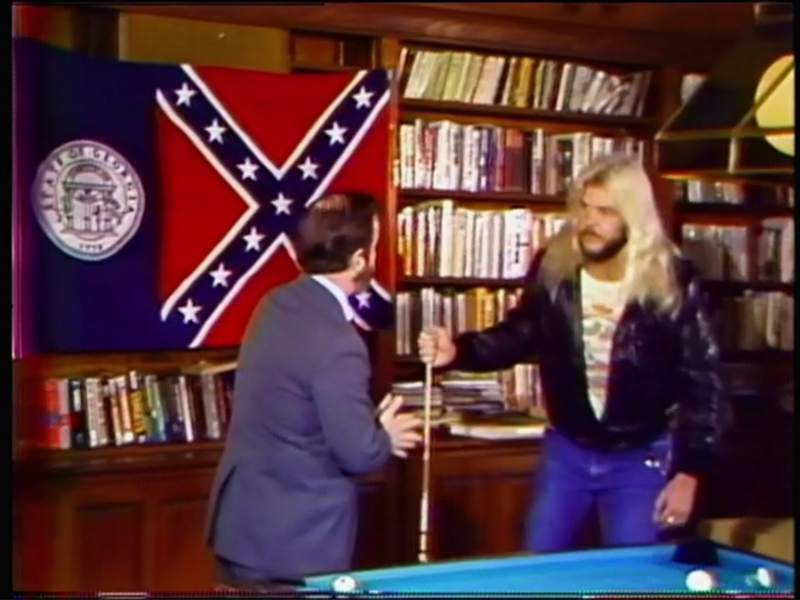 Prior to the opening match, Mercer interviews the Freebirds. Hayes wants to â€œrun over the Von Erichs...with pleasure.â€� Good heel interview. Roberts leap-frogged Adias but ate two dropkicks afterward. When the Dallas faithful LOUDLY chanted â€œgo Brian, go,â€� Roberts applied an arm bar while grabbing the top rope. SNEAKY! Roberts then gave Adias a cross corner whip, but Adias hooked a sunset flip for 2. As Roberts gave Adias another cross corner whip, he came up empty on his follow-through. Adias then landed a knee drop for 2. After Roberts rebounded with a swinging neckbreaker, he got 2. He then delivered a backbreaker for another 2 with thirty seconds remaining in the match. When he mounted the second turnbuckle, Roberts hit a flying elbow smash but couldnâ€™t get 3. Adias then hooked another sunset flip for 2. Ultimately, the bell rang, and referee Larry Hayes ruled the bout a time-limit draw. Summary: Decent match between the smallest Freebird and the young up-and-comer. After the match, Adias and Roberts brawl until Roberts exits the ring to a chorus of boos. At the home of the Freebirds, Mercer interviews them. 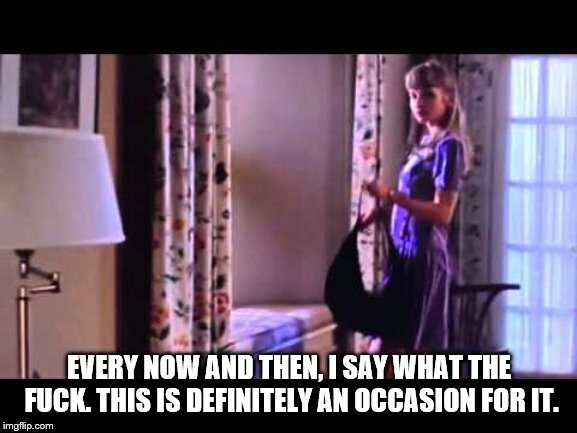 Unfortunately, the audio isnâ€™t great. According to Hayes, Kerry knocked him out of the ring and tried to leave, but Gordy slammed the door on him. 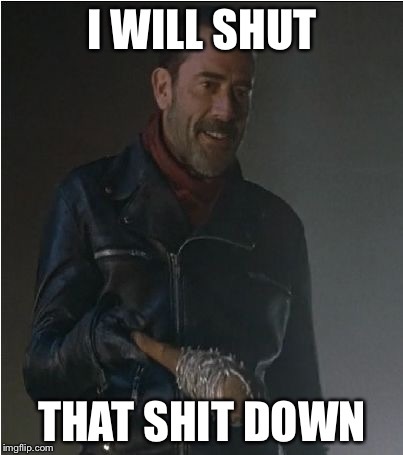 To finish the segment,Hayes instructs Mercer to leave. By the way, thatâ€™s the Georgia state flag. File your complaints with former President Jimmy Carter if you take issue with it. To the delight of the Dallas faithful, Madril nailed Hayes repeatedly. Hayes then took control, mounted the second turnbuckle, leaped, but ate a shot to the midsection. As Madril nailed Hayes in the midsection again, he tried to split Hayesâ€™ uprights to no avail. Hayes then delivered an elbow drop for 2. When Hayes applied a rear chin lock, Madril countered with momentum to send Hayes face-first into the top turnbuckle. He then hit a flying shoulder block for 2. After Hayes delivered a piledriver, he earned a 1-count then immediately stood up. Cocky! He then gave Madril the business until Jose Lothario stormed the ring to save Madril. As a result, Hayes won by DQ. Summary: Make no mistake. The Freebirds are vile and hated ENEMIES to the Dallas faithful, and their heel act plays the part beautifully. Thanks, Lana, but save it for one of the Von Erichs, ok? After the match, Hayes and Lothario brawl until Hayes runs for cover. Mercer then interviews Lothario who challenges Hayes any day, anytime, anywhere. Following a commercial break, Mercer interviews referee David Manning who explains the rules of the next match. Andre the Giant then joins them and states heâ€™s ready due to his experience in battle royals. Winner gets $5000. Much like the battle royal at Christmas Star Wars, a wrestler can be eliminated over the top rope or by pinfall or submission. When Kerry entered the ring, he immediately went after Gordy. McGraw separated them while Andre stepped over the top rope into the ring. As Kerry got distracted by Hayes, Gordy eliminated him. Without hesitation, Kerry jumped back into the ring and fought with Gordy. Referees Bronko Lubich and Manning yanked Kerry from the ring and Dallasâ€™ finest escorted him backstage. While Andre applied a nerve hold to Gordy, Bundy mounted the second turnbuckle and delivered a double axe handle to him. After Irwin mounted the top turnbuckle to nail him, Andre slammed him down to the mat. To continue his onslaught upon Gordy, Andre tossed Bundy between the ropes and sent Irwin reeling to the floor. Irwin then mounted the top turnbuckle and hit a double axe handle on Andre. 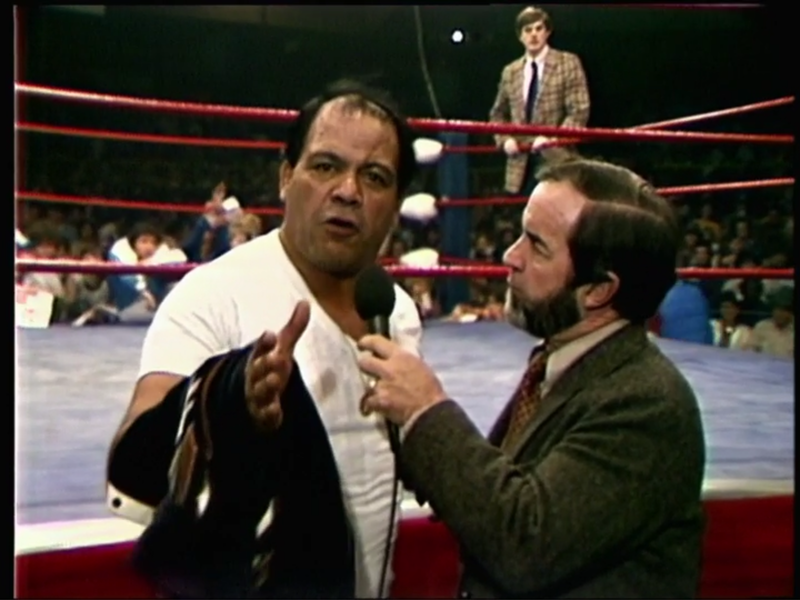 When Andre regained his footing, he supplied Irwin and Bundy with a double noggin knocker. He then rammed Irwin and Gordy head-to-head and thwarted a slam attempt by Bundy. As the Dallas faithful chanted â€œgo Andre, go,â€� the heels triple-teamed their hero. While Bundy and Gordy held onto Andre, Irwin charged but ate boot. To counter a side head lock, Andre delivered an atomic drop to Irwin that caused his elimination. Andre then gave Gordy a cross corner whip directly into Bundy. After Andre tossed Gordy over the top rope, Hayes ensured Gordy didnâ€™t land on the floor. SNEAKY! Andre then stormed after Hayes who scampered away faster than the babysitterâ€™s boyfriend upon the parentsâ€™ return. 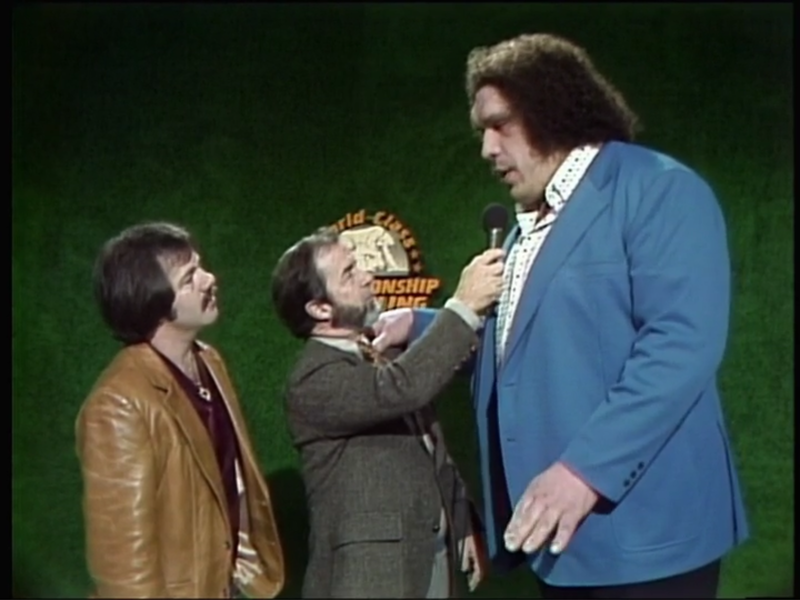 Due to Andreâ€™s stepping over the top rope, Manning ruled that Andre eliminated himself. With Bundy and Gordy remaining, Gordy failed to slam him, but Bundy didnâ€™t. Bundy then hit a knee drop for 2. When he gave Gordy a cross corner whip, Bundy came up empty on his follow-through. Gordy then dropkicked Bundy over the top rope to the floor to win the match. Summary: With both Kerry and McGraw out of the match early, the Dallas faithful placed its sympathy upon Andre. When Andre was eliminated, the air came out of the balloon. Good victory for the freshly-heel-turned Gordy however. Before the show leaves the air, Mercer interviews Kerry and Adias at the broadcast table. Kerry will be Adiasâ€™ manager against Gordy next week. Conclusion: Winning the elimination match was a stepping stone for Gordy that could lead to bigger opportunities. 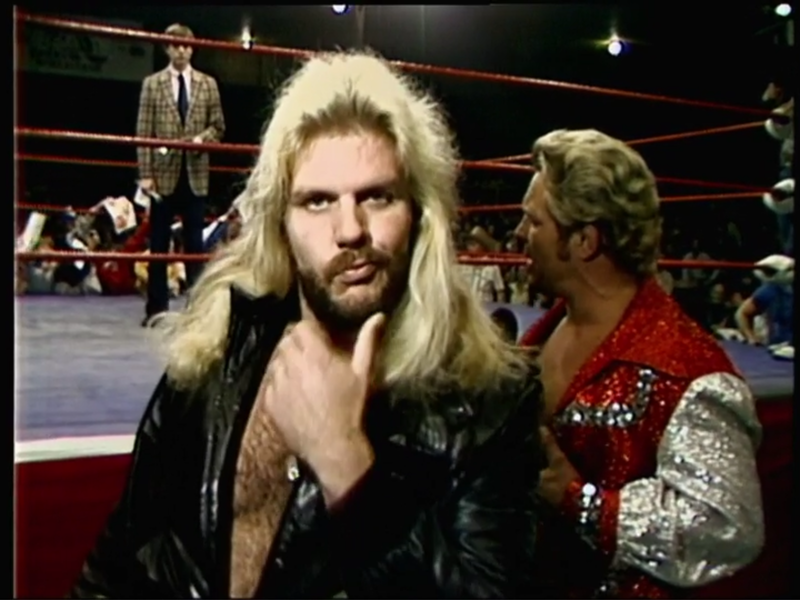 Without any shred of doubt, the Freebirds have become the #1 heel stable in WCCW. Definitely check this show out. Whatâ€™s your opinion, Lana? 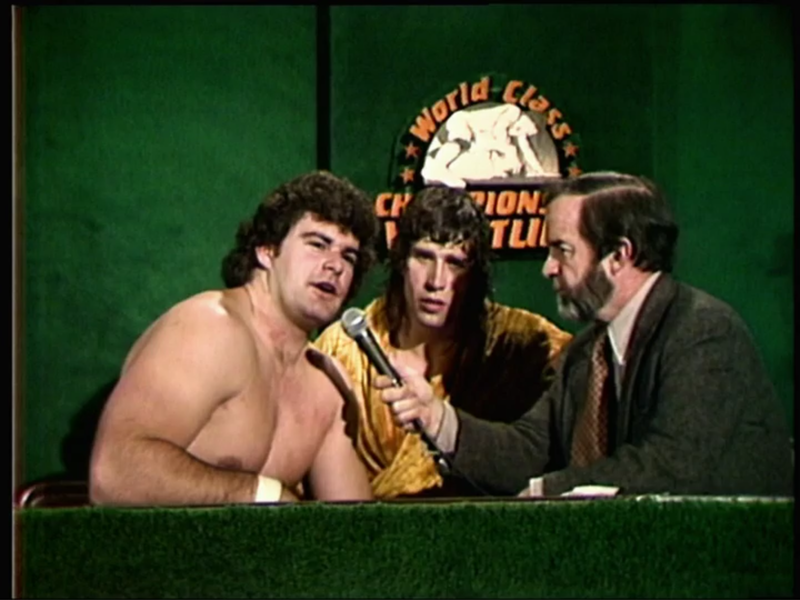 Stay tuned for WCCW 01-22-83!